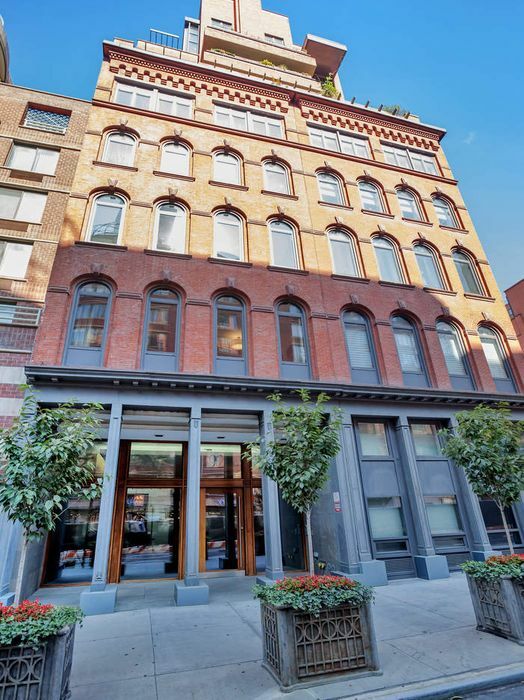 92 Warren Street Apt PH, New York, NY 10007 | Sotheby's International Realty, Inc.
$6,995,000 3 Bedrooms2 Full / 1 Partial Baths3,026 sq. 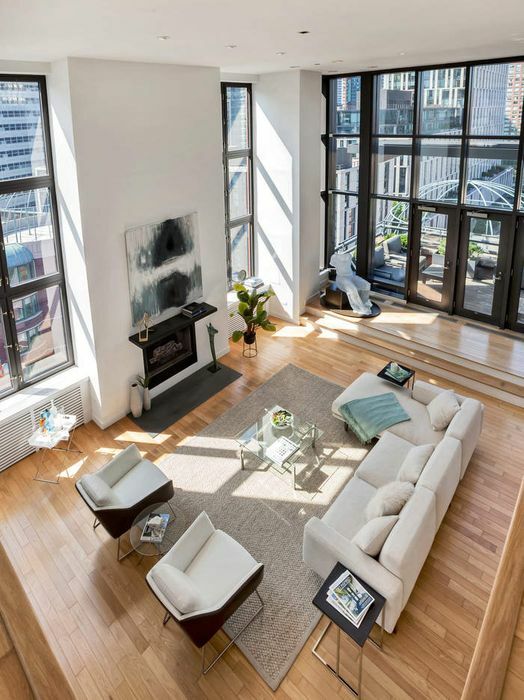 ft.
A true Entertainer’s loft. 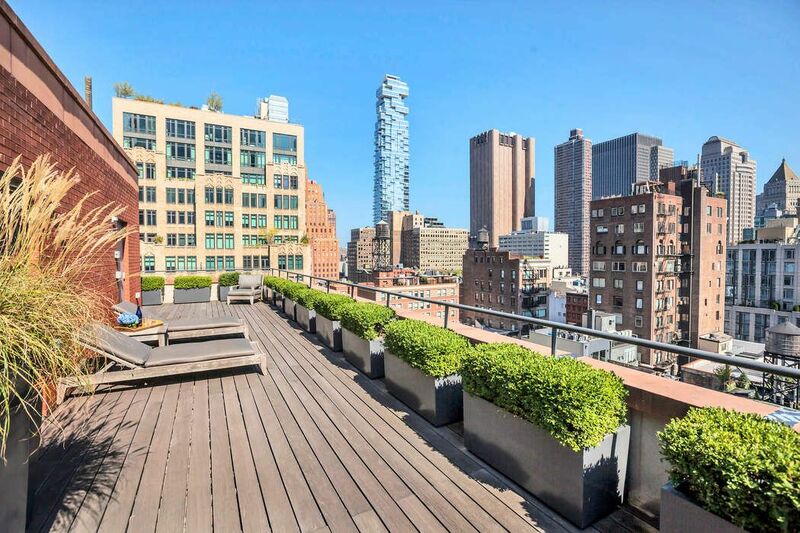 This duplex penthouse in the heart of TriBeCa offers over 3,026 sq-ft of interior space, along with three spectacular outdoor spaces, including a private rooftop with panoramic views of Downtown and the Hudson River. 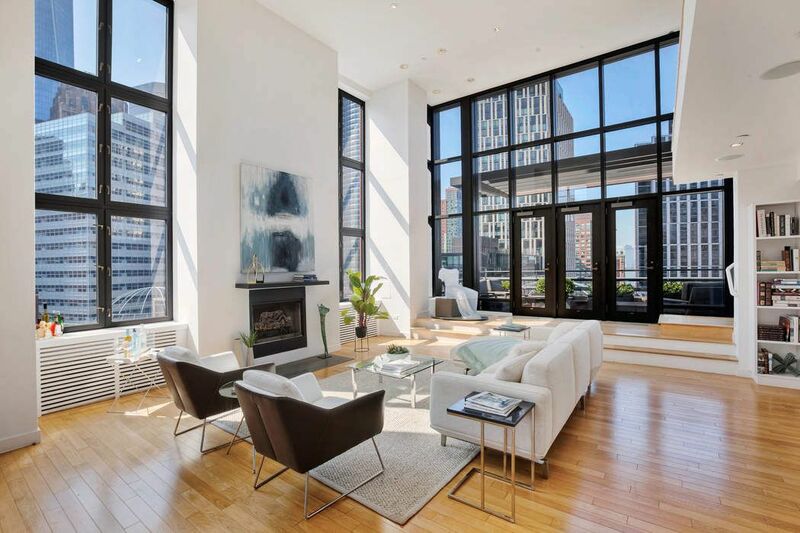 With floor-to-ceiling windows encompassing entire walls of glass, and soaring 18-foot-high ceilings, this open and airy home is bathed in light all day. 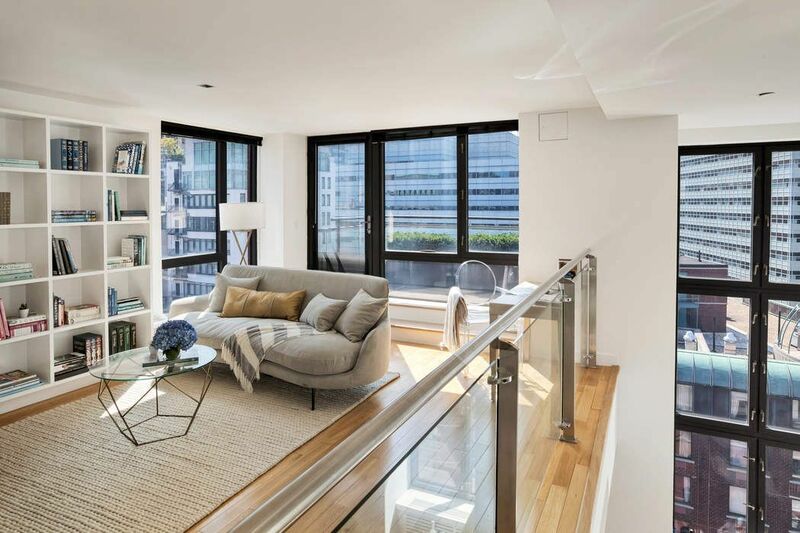 Enter the serene, pin-drop quiet penthouse through a key-locked elevator and into the sprawling, open-plan living, kitchen and dining areas. 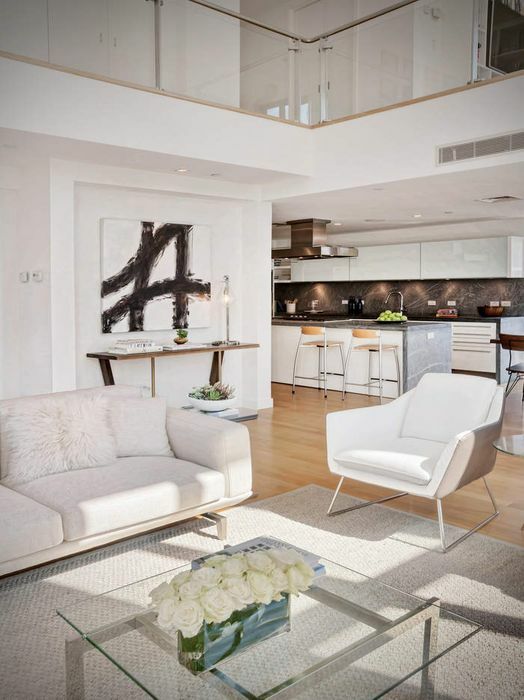 With a perfect flow for entertaining, the living area offers a wood-burning fireplace, white oak flooring, and an abundance of wall space ideal for art. The state-of-the-art kitchen is outfitted with a Sub-Zero refrigerator, Wolf oven and 5-burner range with vented Miele hood, Miele dishwasher and a wine fridge. The focal point of the kitchen is a Pietra Cardosa limestone island, perfect for informal dining and gatherings. Also on the lower level, there are two sunny, well-proportioned bedrooms that share a full bath with a soaking tub and radiant heat floors. Upstairs you will find the private and spacious corner master suite. 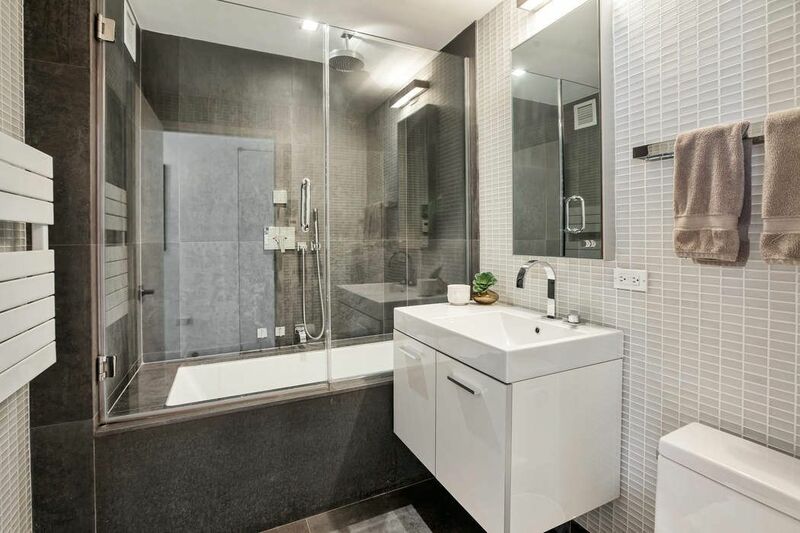 Surrounded by walls of glass, the suite features a spa-like master bath, with marble double-vanity, Duravit soaking tub, rain shower and radiant heat floors, as well as a separate dressing area. With 360-degree city & water views, your expansive private rooftop oasis is an idyllic place to relax or wow your friends. A sitting area (convertible to a bedroom), powder room, mud closet with full-size W/D, and two more terraces, one with a built-in barbecue, complete this unparalleled offering. 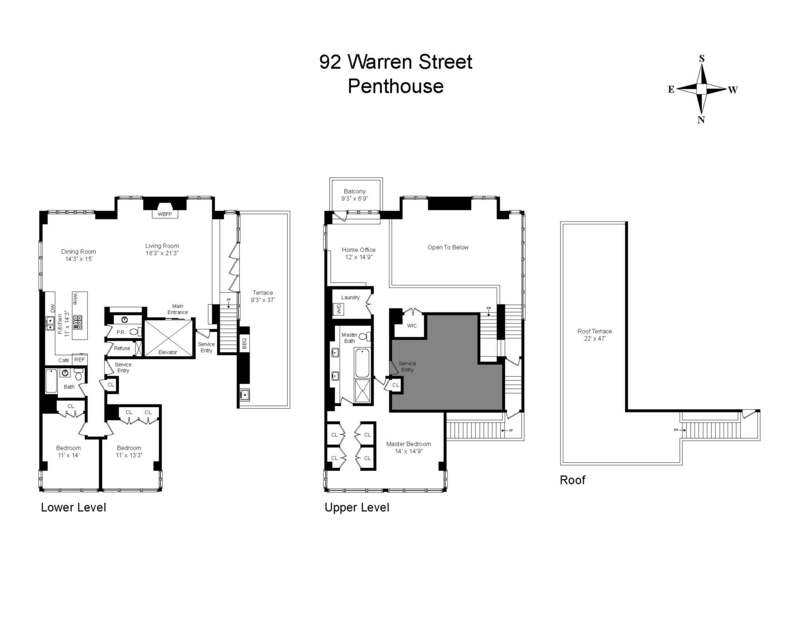 92 Warren is a boutique condominium in the heart of TriBeCa, near to Equinox, SoulCycle, Barnes & Noble, and Whole Foods. 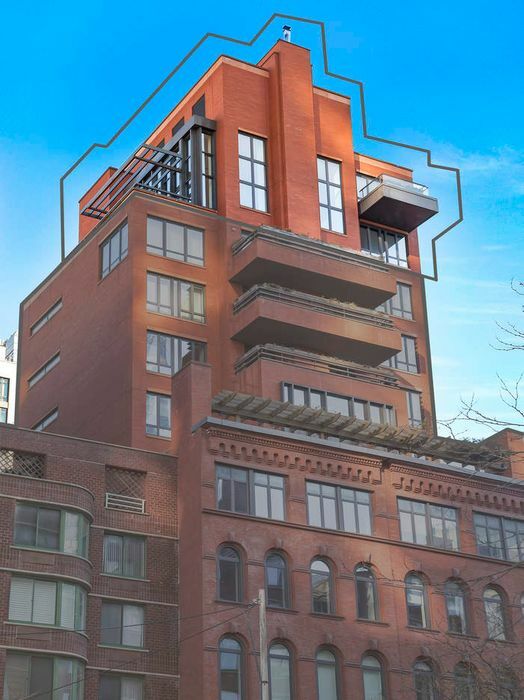 Amenities of the building include doorman, fitness room, bicycle room, children's play room and private storage units. A 244-sq-ft storage space is conveyed with the sale. A true Entertainer’s loft. 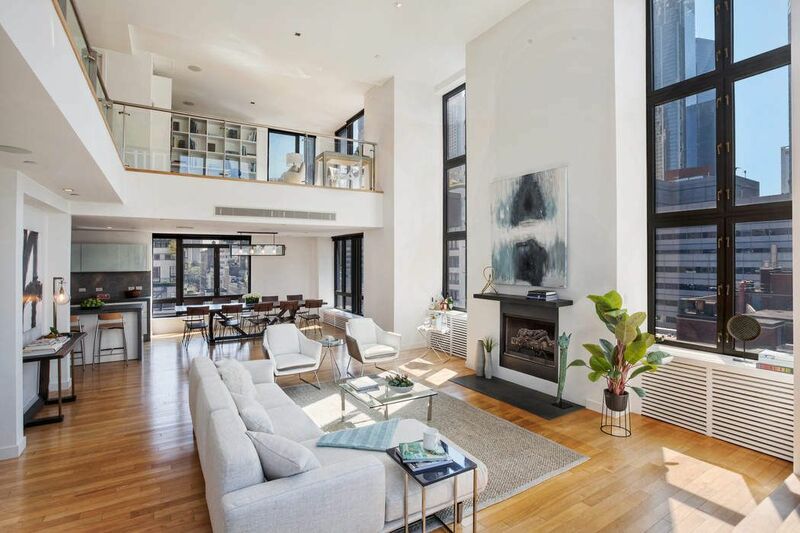 This duplex penthouse in the heart of TriBeCa offers over 3,026 sq-ft of interior space, along with three spectacular outdoor spaces, including a private rooftop with panoramic views of Downtown and the Hudson River. 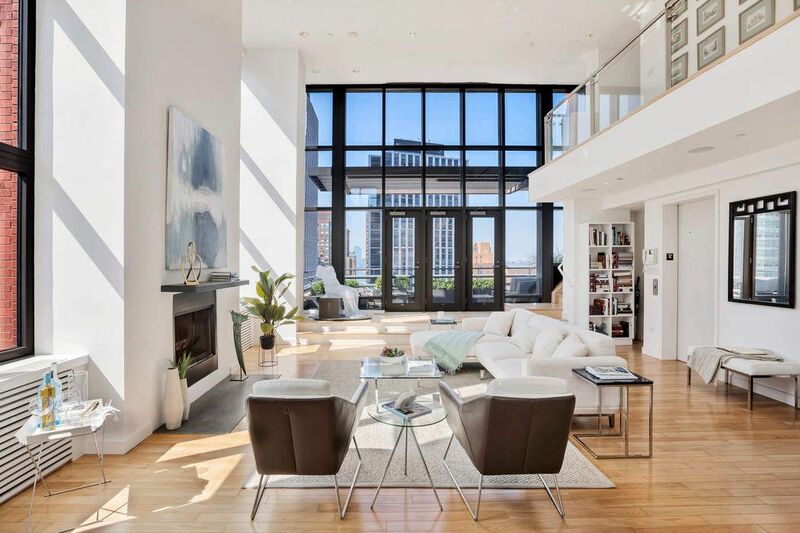 With floor-to-ceiling windows encompassing entire walls of glass, and soaring 18-foot-high ceilings, this open and airy home is bathed in light all day. 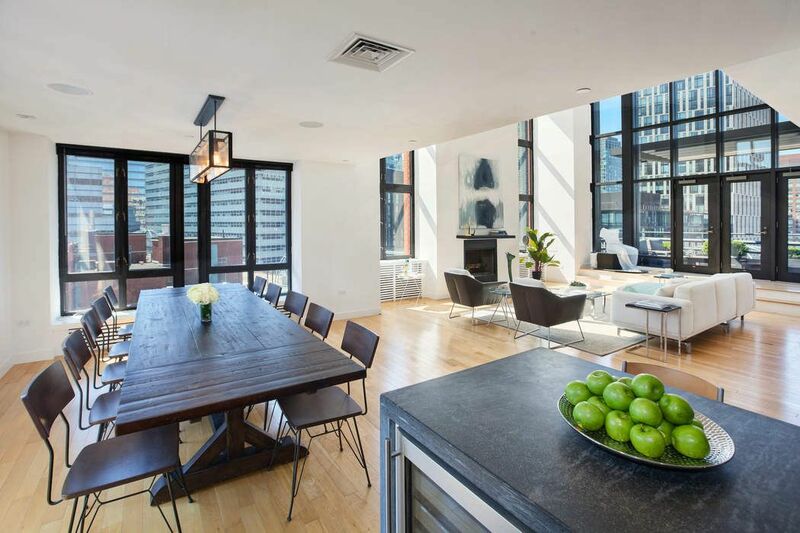 Enter the serene, pin-drop quiet penthouse through a key-locked elevator and into the sprawling, open-plan living, kitchen and dining areas. 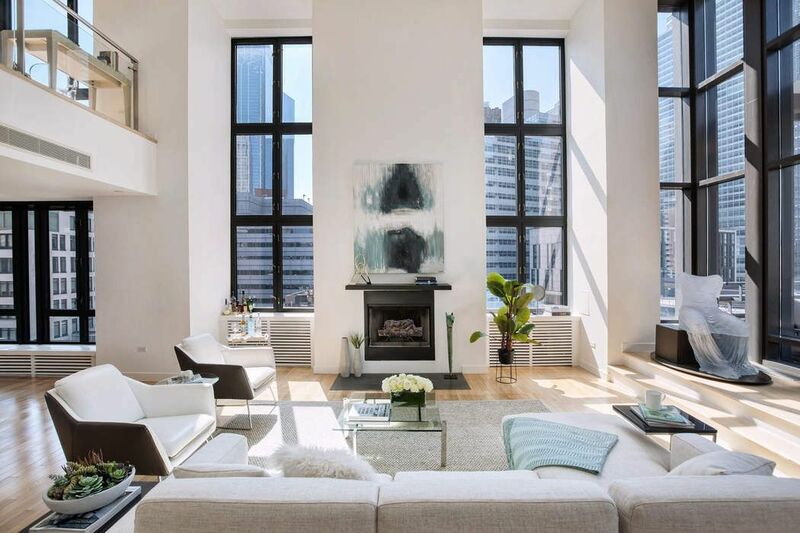 With a perfect flow for entertaining, the living area offers a wood-burning fireplace, white oak flooring, and an abundance of wall space ideal for art. 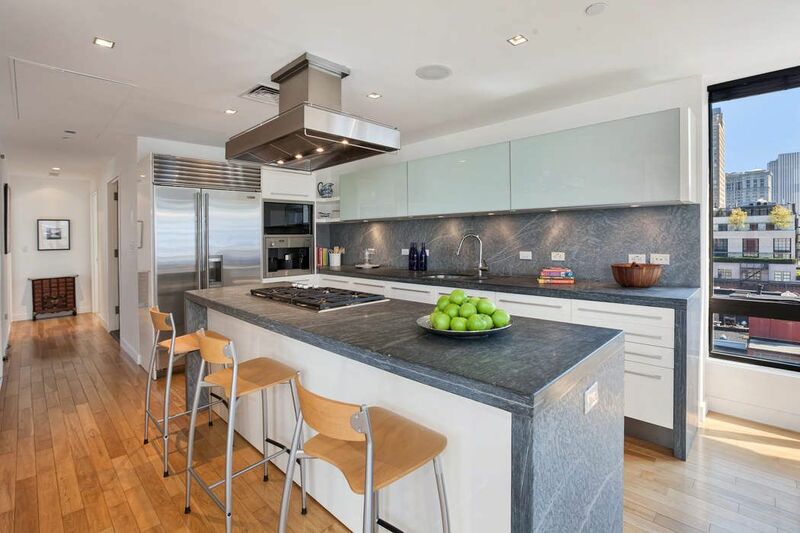 The state-of-the-art kitchen is outfitted with a Sub-Zero refrigerator, Wolf oven and 5-burner range with vented Miele hood, Miele dishwasher and a wine fridge. The focal point of the kitchen is a Pietra Cardosa limestone island, perfect for informal dining and gatherings. Also on the lower level, there are two sunny, well-proportioned bedrooms that share a full bath with a soaking tub and radiant heat floors. Upstairs you will find the private and spacious corner master suite. 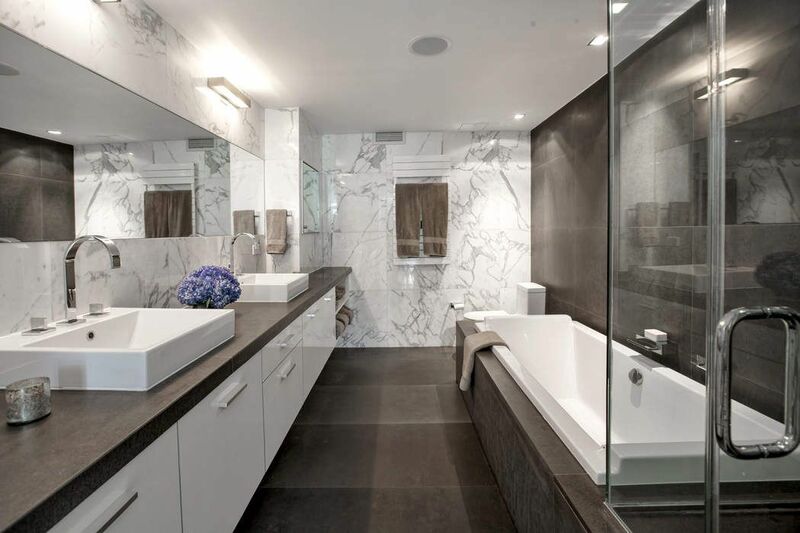 Surrounded by walls of glass, the suite features a spa-like master bath, with marble double-vanity, Duravit soaking tub, rain shower and radiant heat floors, as well as a separate dressing area. 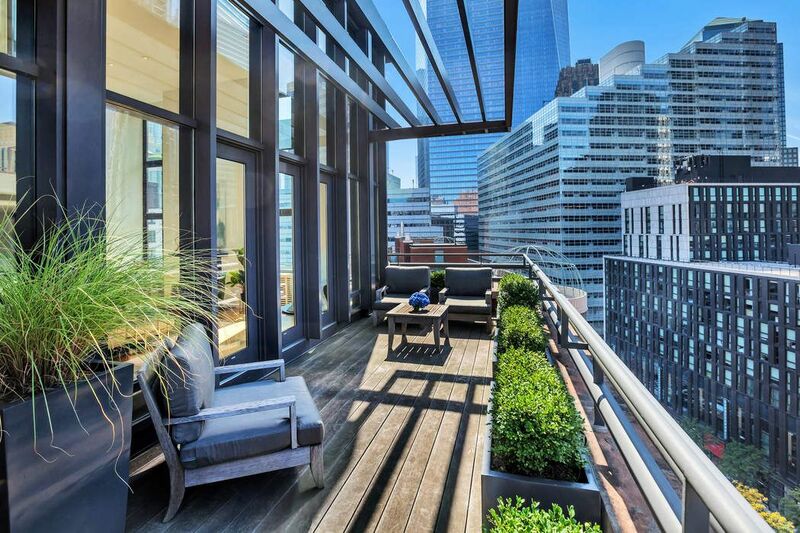 With 360-degree city & water views, your expansive private rooftop oasis is an idyllic place to relax or wow your friends. A sitting area (convertible to a bedroom), powder room, mud closet with full-size W/D, and two more terraces, one with a built-in barbecue, complete this unparalleled offering. 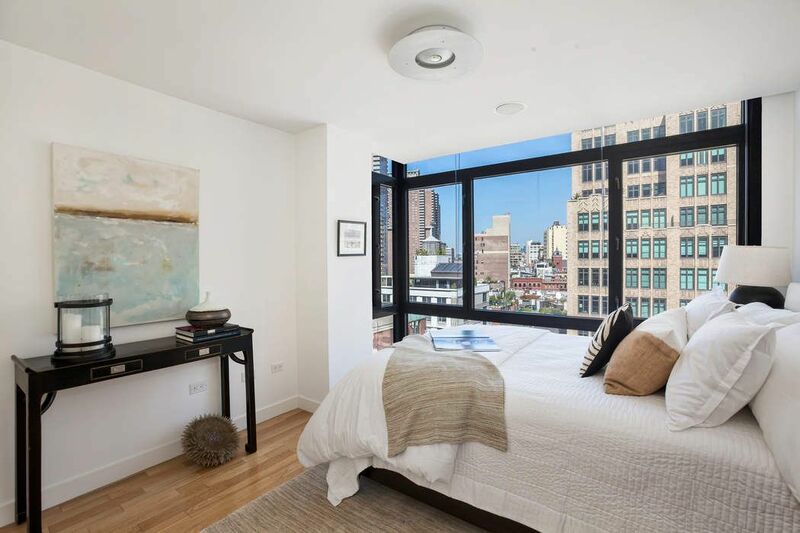 92 Warren is a boutique condominium in the heart of TriBeCa, near to Equinox, SoulCycle, Barnes & Noble, and Whole Foods. Amenities of the building include doorman, fitness room, bicycle room, children's play room and private storage units. A 244-sq-ft storage space is conveyed with the sale.